little bit of my wish list with y'all. Nevermore by Kelly Creagh. Atheneum, August 2010. Publisher summary (accessed from Amazon): In NEVERMORE, cheerleader Isobel falls for Poe-fan Varen--but will she be able to save him from the madness taking hold of his mind? Publisher summary (accessed from Amazon): Ever since she was child, Jem has kept a secret: Whenever she meets someone new, no matter who, as soon as she looks into their eyes, a number pops into her head. That number is a date: the date they will die. Burdened with such awful awareness, Jem avoids relationships. Until she meets Spider, another outsider, and takes a chance. The two plan a trip to the city. But while waiting to ride the Eye ferris wheel, Jem is terrified to see that all the other tourists in line flash the same number. Today's number. Today's date. Terrorists are going to attack London. Jem's world is about to explode! This book sounds really suspenseful and I looove the US cover. Thanks to Yan at Books By Their Cover for posting this one on In My Mailbox. I'll definitely be seeking it out! 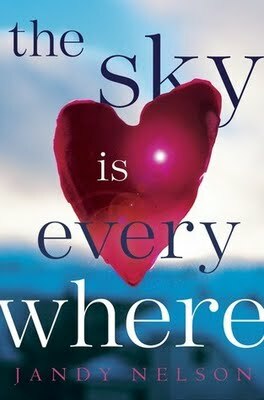 The Sky is Everywhere by Jandy Nelson. Dial, March 2010. Publisher summary (accessed from Amazon): Seventeen-year-old Lennie Walker, bookworm and band geek, plays second clarinet and spends her time tucked safely and happily in the shadow of her fiery older sister, Bailey. But when Bailey dies abruptly, Lennie is catapulted to center stage of her own life—and, despite her nonexistent history with boys, suddenly finds herself struggling to balance two. Toby was Bailey’s boyfriend; his grief mirrors Lennie’s own. Joe is the new boy in town, a transplant from Paris whose nearly magical grin is matched only by his musical talent. For Lennie, they’re the sun and the moon; one boy takes her out of her sorrow, the other comforts her in it. But just like their celestial counterparts, they can’t collide without the whole wide world exploding. Recommended for fans of Sarah Dessen = sign me up! And those are a few of the books I'm waiting on this Wednesday. How about you? Glad you're participating this week...love that you have THREE! Happy Thanksgiving! Three, oh my. And they are all three very interesting. I like the cover of the first book, i never heard of that one before, thank you for putting this on my radar. Oh goodness. Numbers sounds like it would be riveting! That Numbers has an amazing cover and concept. Generally not my type of book, but I might have to give it a try. They all sound like good books! Numbers sounds great, yaaay, thanks for that one. All three of these sound great and will be going on my list. How exciting for your friend to be published - I hope the book does wonderful. Great List. 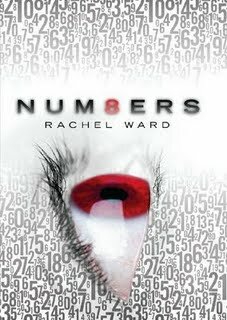 Numbers is on my review list for next year. You can read my WoW - here.